The F-Series truck is slated to go into production in the United States in mid-2017. Isuzu Commercial Truck of America, Inc. distributor of America's best-selling low cab forward trucks, unveiled an all-new entry in the Class 6 medium-duty truck segment—the 2018 Isuzu FTR. The company made the announcement today at the National Truck Equipment Association's 2016 Work Truck Show in Indianapolis. Although horsepower and torque ratings have not been finalized, the company noted that the 4HK1 engine is well known for its high torque output. The powerplant will be mated to an Allison 2000 Series automatic transmission. The engine carries a B10 durability of 310,000 miles—meaning that 90% of engines should reach that mileage before requiring an overhaul. An incredible cruising distance can be achieved by the FTR, thanks not only to the truck's miserly use of fuel but also its available aluminum 50 or 100 gallon fuel tank. Eight wheelbase configurations will accommodate bodies from 16 feet to 30 feet, allowing for a wide variety of body applications. The all-new cab features a clean back-of-cab design that can provide more space for body applications compared to the previous F-Series truck. Like all Isuzu trucks, the FTR will feature a low-cab-forward design that increases visibility and markedly improves maneuverability—especially important in the crowded city centers where the FTR is expected to be in greatest demand. “With a 50-degree wheel cut, there's not a truck in this class with a tighter turning radius,” Skinner said. The FTR cab's wide step and wide-opening doors allow easy entry to the spacious interior, which features three-across seating and extra space for storage behind the seats. Additional interior amenities include a side under safety mirror, overhead console, and a suspension driver's seat with armrest specially designed to increase comfort and reduce driver fatigue. Pricing, available configurations, power ratings and additional features and specifications will be released in mid-2017. 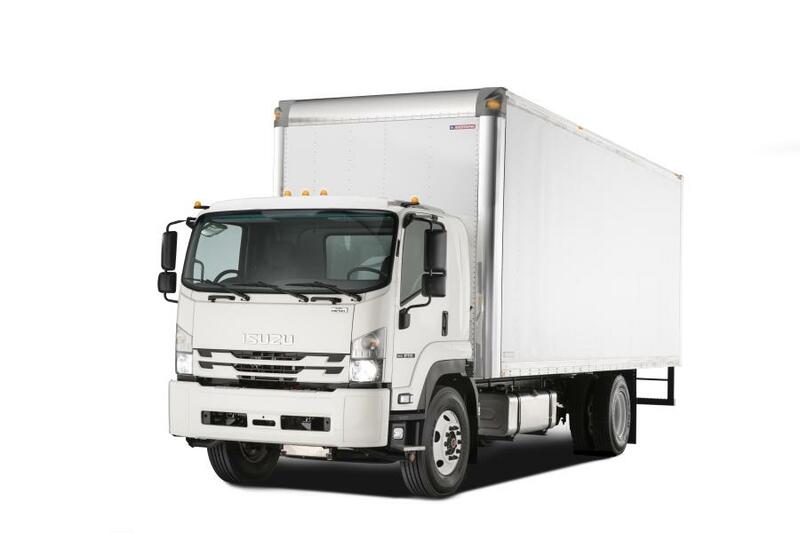 Isuzu commercial trucks have been the best-selling low cab forward trucks in America every year since 1986. Headquartered in Anaheim, California, Isuzu Commercial Truck of America, Inc. is the distributor of Isuzu commercial trucks in the United States. Isuzu Commercial Truck of America, Inc. is a subsidiary of Isuzu Motors Limited, one of the world's largest manufacturers of medium- and heavy-duty trucks.